One of the Arab world's greatest poets uses the 1982 Israeli invasion of Lebanon and the shelling of Beirut as the setting for this sequence of prose poems. 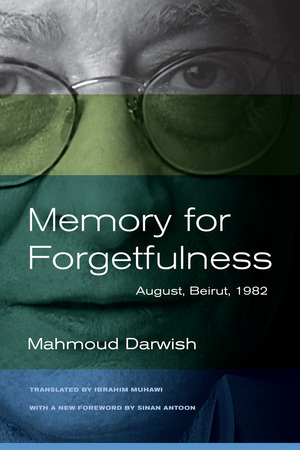 Mahmoud Darwish vividly recreates the sights and sounds of a city under terrible siege. As fighter jets scream overhead, he explores the war-ravaged streets of Beirut on August 6th (Hiroshima Day). Memory for Forgetfulness is an extended reflection on the invasion and its political and historical dimensions. It is also a journey into personal and collective memory. What is the meaning of exile? What is the role of the writer in time of war? What is the relationship of writing (memory) to history (forgetfulness)? In raising these questions, Darwish implicitly connects writing, homeland, meaning, and resistance in an ironic, condensed work that combines wit with rage. Ibrahim Muhawi's translation beautifully renders Darwish's testament to the heroism of a people under siege, and to Palestinian creativity and continuity. 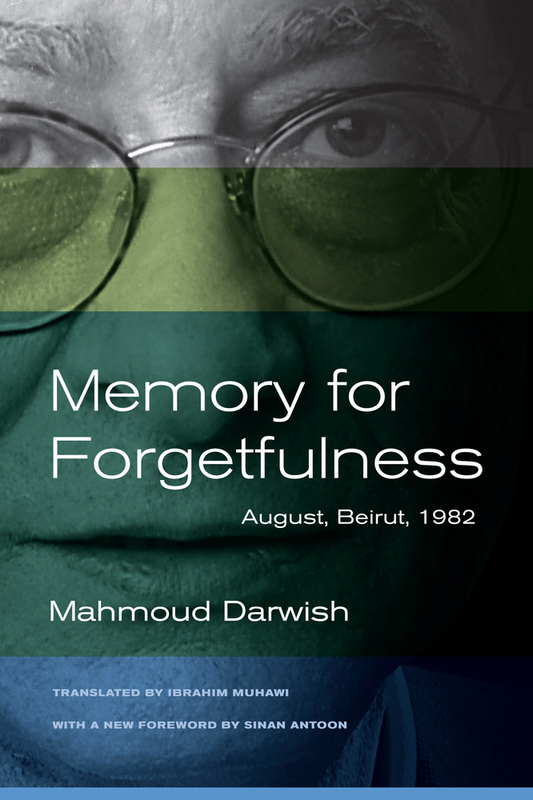 Sinan Antoon’s foreword, written expressly for this edition, sets Darwish’s work in the context of changes in the Middle East in the past thirty years. Mahmoud Darwish (1941-2008) was a Palestinian poet and writer, regarded as the Palestinian national poet. He published over thirty books of poetry during his life. Ibrahim Muhawi is coauthor and translator of Speak Bird, Speak Again: Palestinian Arab Folktales (California, 1988) and Mahmoud Darwish’s Journal of an Ordinary Grief (Archipelago Books, 2010), for which he won the PEN Translation Prize. Sinan Antoon is an Iraqi poet, novelist, translator, and scholar. He has published novels and verse in both Arabic and English, and is currently a professor at New York University.